Without a doubt, the most important element of your home is its roof because it provides necessary protection from the elements. The roof aids in regulating the temperature of your home. 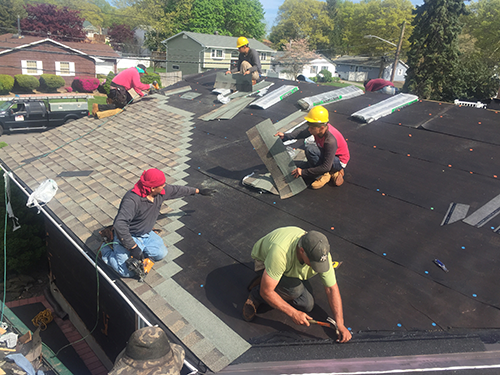 The roof on a home can sometimes outlast the homeowner’s stay, and with the proper roof repair, Long Island residents know that their roof can last them for generations to come. During the winter months, most people put off the necessary roof repairs Long Island locals know they will inevitably need for a variety of factors. Some people feel that it’s not a good idea to do repairs in bad weather and would rather stay curled up on the couch, dealing with some minor ice damming or leaks here and there. Other people feel that minor roof leaks are just something you live with and have made collecting water from a leaky roof a new hobby of theirs. Still, others neglect to do repairs on their roofs for a much more practical reason: lack of funds. 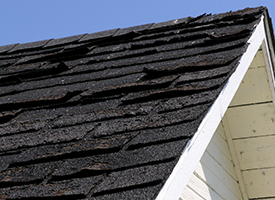 What most homeowners don’t appreciate is the fact that neglecting minor roof repairs will inevitably lead to much more costly repairs down the road. It might even lead to a complete roof replacement. Think about it this way: What happens to your driveway if it isn’t properly sealed over the winter months? Minor cracks and depressions inevitably become black holes once the spring comes around. Why is this? Because of the elements, of course! The elements can be downright nasty to the exterior of your home. Not only does a roof have to be able to withstand the scorching heat of the summer months, but from excessive heat, it immediately has to deal with below zero temperatures and the weight of heavy snow and ice in the winter time. As snow and ice melt then refreezes on your roof, a minor vulnerability, like a small crack or warped flashing, can easily become a giant crack or even cause a part of your roof to cave in. 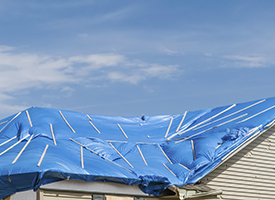 The damage that a fallen roof can cause can be priceless, depending on what’s damaged inside your home when it caves in without warning. We ask a lot of our roofs and it’s inevitable that, sooner or later, we are going to need some repairs done. 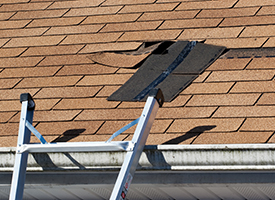 For roof repair Long Island residents know they can count on, they call us. Whenever our former clients are asked about roof repair Long Island locals always suggest us to their friends and family members. Our roof repair Long Island assessment thoroughly reviews each area of your roof, from the gutters to the flashing and we make repair suggestions based on the severity of the problem and the budget of the client. Some problems can be fixed with minor repairs, yet others have to be examined more thoroughly. Our crew is honest and has been recommended by friends and family members for years. We will work within your budget to find the best solution and make certain that our repairs will last. Don’t put off minor leaks and repairs. The money you spend fixing the problem today will save you money to avoid replacing your roof in the future. When it comes to roofing Long Island NY, Clearview Roofing can’t be beat! Give us a call today to schedule your free in-home estimate. We look forward to hearing from you.